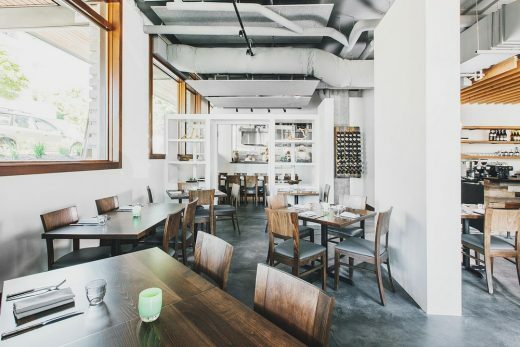 The design of Copine frames the open kitchen, offering guests a view into the artistry behind chef Shaun McCrain’s approach to contemporary American cuisine highlighted with classic French cooking techniques. 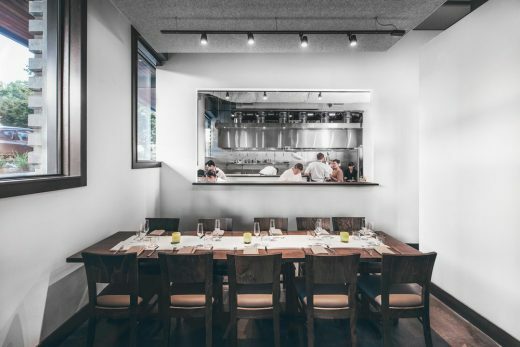 Equal parts intimate and social, the space offers a scale of transparency throughout, allowing the food to take center stage. 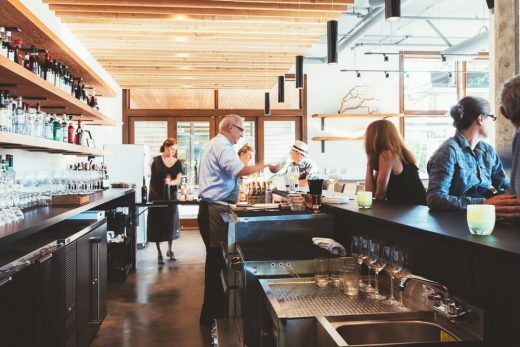 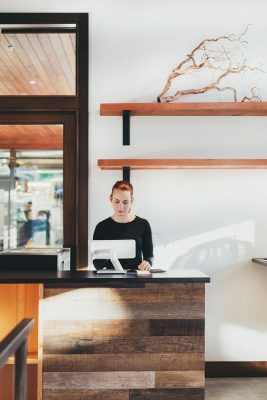 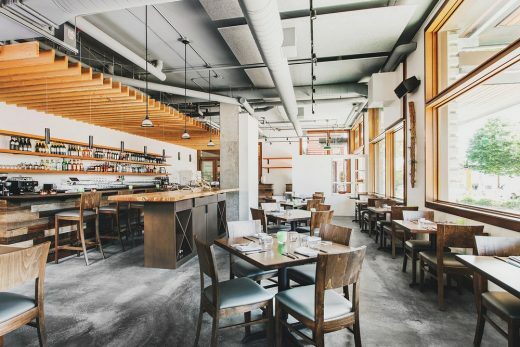 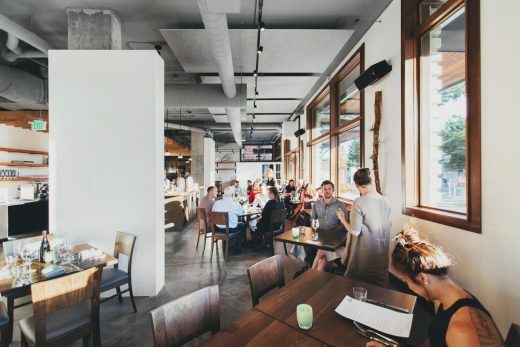 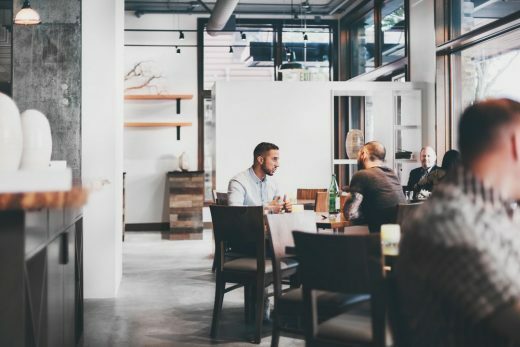 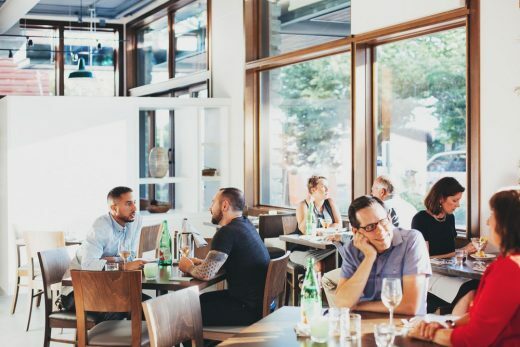 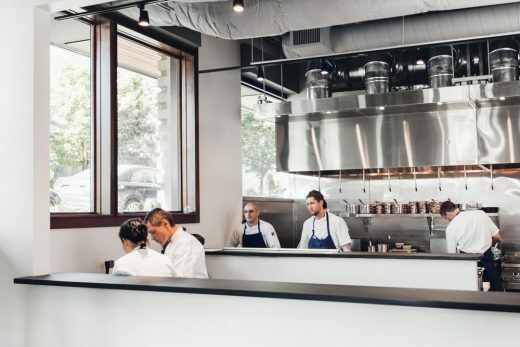 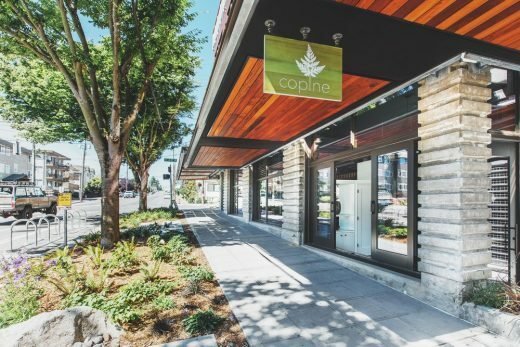 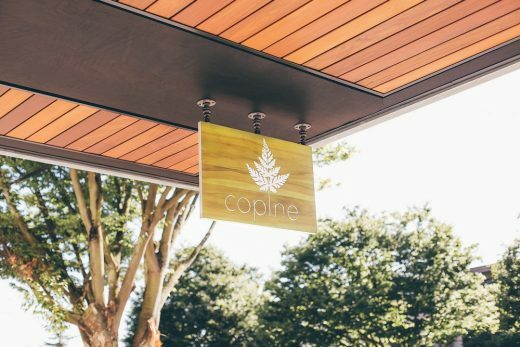 Located in Seattle’s Ballard neighborhood, the airy restaurant occupies a prominent corner of a new mixed-use building with large windows that draw in natural daylight on three sides. 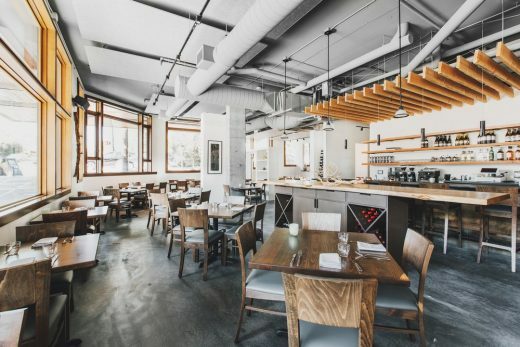 Traditional and contemporary furniture elements are combined with reclaimed and adapted materials to create a refined, warm material palette. 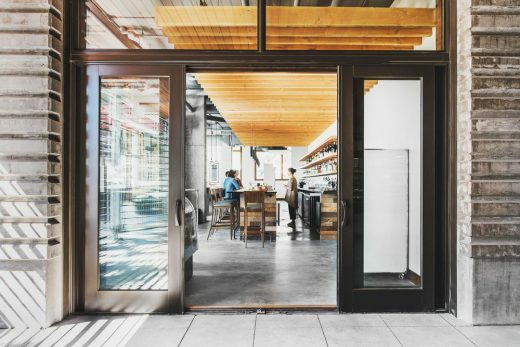 Juxtaposed with new kitchen equipment, exposed systems and existing concrete, the space is a balance of old and new. 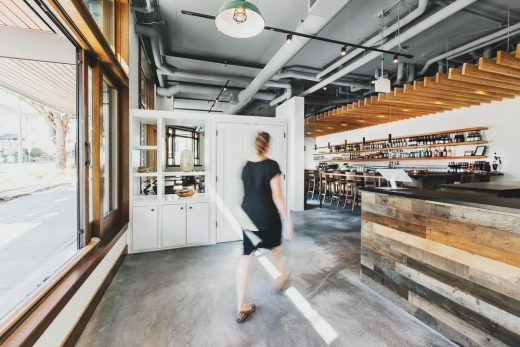 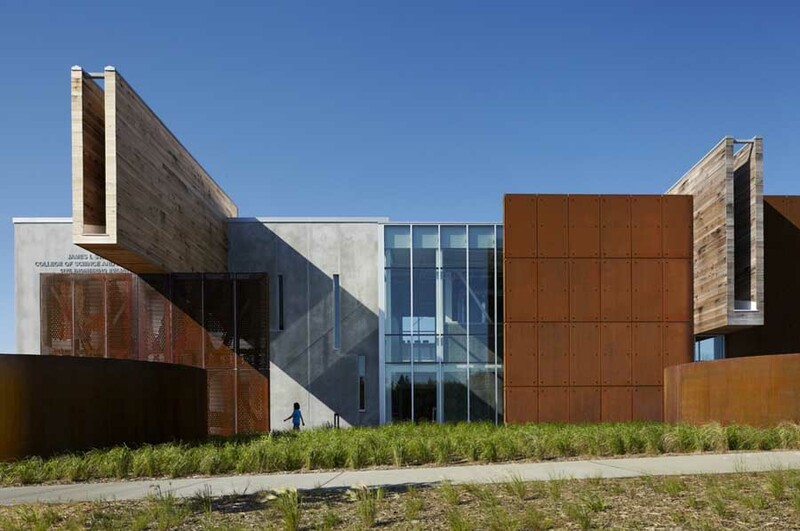 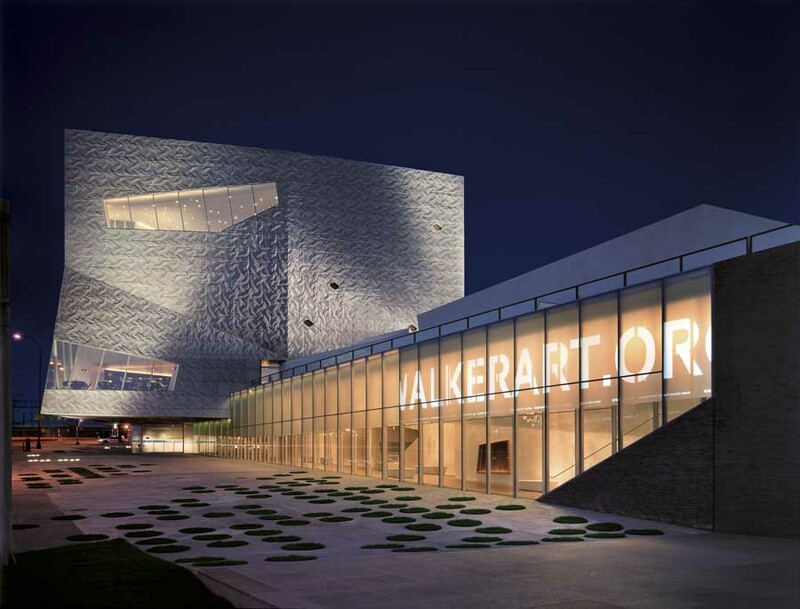 Art walls, plants and reclaimed objects add a sense of personality and texture that ground the space in a human scale, and act as armatures for display. 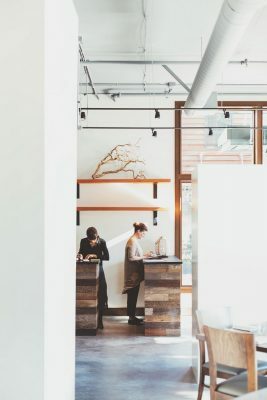 The unfolding of the visitor experience—bar, dining area, chef’s table—begins as guests are greeted at the entry foyer and marketplace area. 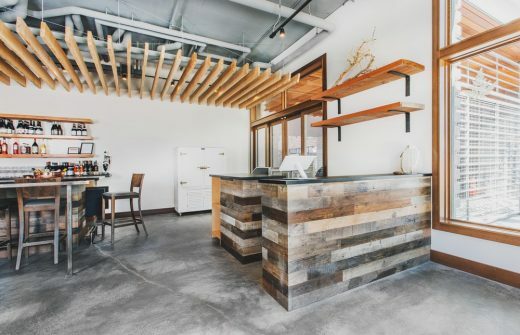 Custom casework with open shelves reveal the dining area beyond, while the reclaimed wood cladding on the host station adds character and depth. 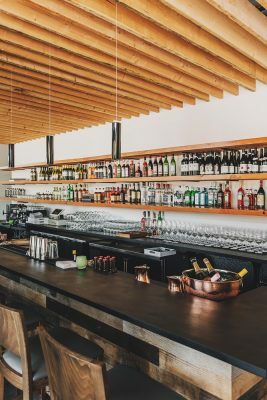 The long bar, clad with reclaimed wood and topped with a deep metallic shade of Richlite, acts as an intimate space for dining and drinks. 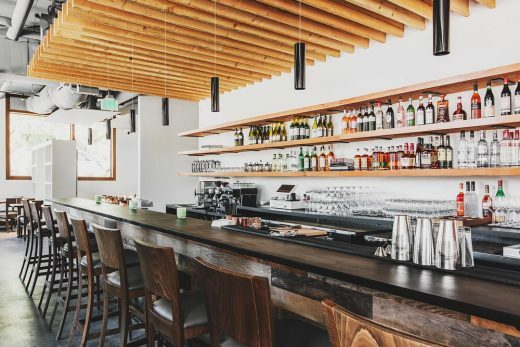 A rough-hewn Douglas fir trellis suspended over the bar adds atmosphere and texture. 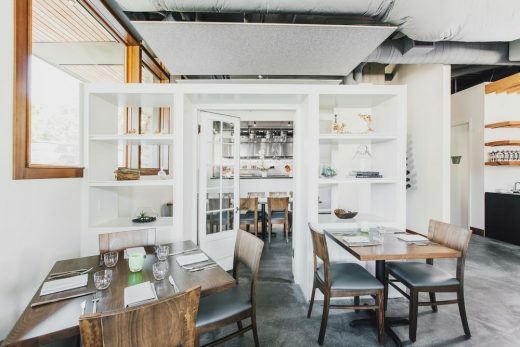 Strategically placed art walls painted in creamy white conceal building mechanical systems and lend a sense of privacy between dining zones. 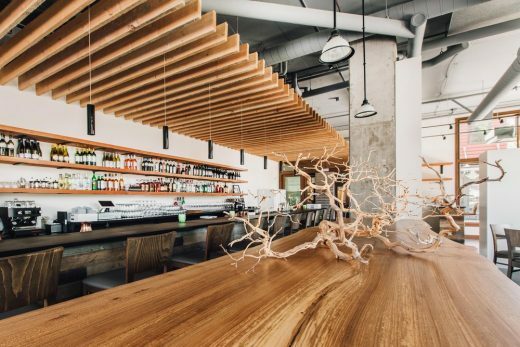 A live-edge elm slab bisects the space between the bar and main dining area; the slab transforms into a central serving station during events. 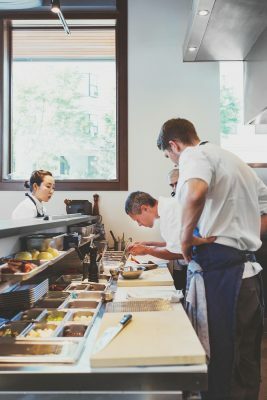 For larger parties, the experience culminates at the chef’s table and open kitchen—a unique opportunity for guests to observe the busy yet immaculate kitchen. 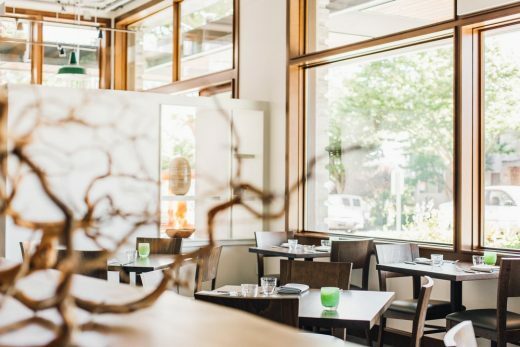 Located off of the main dining space, the open design provides an intimate view into the process, tradition and attention to detail that characterizes McCrain’s cuisine, which enhances the ambiance of the guest experience.